Looking for reliable and affordable Computer Repairs, Services and Help in the Mount Perry area? Geekmobile is a Friendly, experienced Computer Repair company operating at Mount Perry. Our Technicians are of the highest standard and we fully cover Mount Perry and the surrounding suburbs including St Agnes, Molangul, Lake Monduran, Doughboy, Damascus, Mcilwraith, Wallaville, Skyring Reserve, Mungy, Maroondan, Boolboonda, St Kilda, Wonbah Forest, Redhill Farms, Horse Camp, Gaeta, Drinan, Morganville, Kolonga, Wonbah, Tirroan, Takilberan, Nearum, Moolboolaman, Duingal, Delan, Bullyard and Booyal just to name a few! 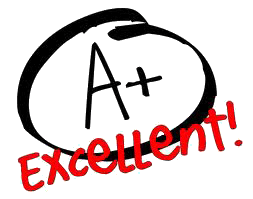 "Stacy was very knowledgeable and very helpful. He fixed my laptop promptly and he was very professional. Thank you"